WooCommerce is the best WordPress plugin for eCommerce. This have also made the Automattic the company behind WordPress to acquire it. This platform is also even better than other eCommerce solutions. I think the reason is the WordPress Community that offer an unlimited library with plugins and themes for WooCommerce. WooCommerce plugin have been used for infinite kind of online solutions. I’m talking about professional fashion online stores to WooCommerce booking websites. Yes ! WooCommerce can be used also for booking, restaurant booking, food delivery, car rentals, hotel booking. Sometimes you can use another system for booking and integrate it with WooCommerce as payment system. This one of the best plugins for bookings and rentals. In their demo you can check how easy is to implement and to book listed product. This plugin enlarge the capability of the WooCommerce Plugin and make it perfect as booking system where you can use WooCommerce powerful payment gateway and product listing to close the process. WooCommerce Booking cost $249 for 1 license(1 website). Sincerely the plugin is little expensive but the WooCommerce development team is a guarantee. RnB is another WooCommerce Booking and Rental plugin sold on Codecanyon. This plugin have all the features to transform the WooComemerce in a professional Rental & Booking system. The plugin gives the possibility to create booking tables with calendars and set prices. Allows you to sell your time or date based bookings. It creates a new product type to your WooCommerce site. Perfect for those wanting to offer rental , booking or services. The price is cheaper only $29. RnB have a goo quality of code and a fantastic user review 4.54 to 5. Plugin is also constantly updated. Yith WooCommerce Booking is a great plugin for real estate booking and rental companies. Hairdressers, doctors, business consultants and all of those who can benefit from a booking system for travels, items or dates should try it out! 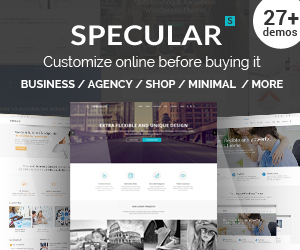 The company behind this plugin is the most successful in the WooCommerce themes and plugins. Plugin is translation ready and also compatible with the latest WordPress version. Yith WooCommerce Booking will create a booking system with WooCommerce. The items and payments are managed by WooCommerce and the extension will add a new type of Product Type that is called Booking Product. There you can add the available dates to book an item. One single license that mean you can use it only for one website domain cost $147. The plugins is very trusted and made by professionals. This is another plugin that can be purchased on Codecanyon that transform the WooCommerce plugin in booking and rental system. WooCommerce Booking & Reservation Plugin gives you the possibility o sell bookable products and services with calendar date. Plugin also makes possible to create bookings on customers behalf and let them to cancel a reserved product. This is a new plugin on the market, launched this year at February an updated these days. You can see plugin have made less than 30 sales and those clients seems to be happy. As i can see the plugin it was build primary for hotel reservation and booking. The plugin use the WooCommerce functionalities for as content management and the payment gateway feature. Picante is a Restaurant WordPress Theme that have integrated also the WooCommerce plugin for food delivery. Theme also let you to booking tables on the restaurant with a calendar. The payment and the products are powered by WooCommerce Plugin. Theme is fully resposnive. 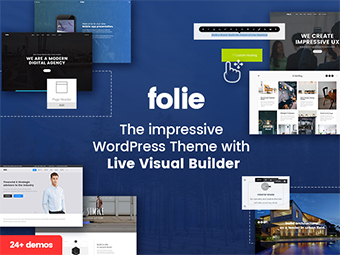 Every page can be built with Visual Composer or with Codeless Builder with Live Editing. Theme is perfect for modern restaurants that want to put their business online. Travelo is a perfect WordPress Theme for travel tour and car rental WordPress theme that have integrated WooComemerce with booking. Theme has lot of possibilities to change skin color and styling easily. Travelo have included Visual Composer and this makes it easy to use. WPML plugin compatibility makes it translatable. Very popular with more than 3800 sales, so lot of people have trusted and have written very amazing reviews. Adventure Tours theme is an WooCommerce Booking theme that have integrated the booking with the WooCommerce in a perfect way. The WoCommerce plugins is used to payment gateway and a product listing. Theme is very appreciated by the users that have purchased it more than 4000 times. Adventure Tours theme have a solid structure with unlimited customization and Visual Composer as page builder. Adveture Tours theme is created for travel agencies and tour operators. Review rating system in also integrated that makes it perfect for travel website. 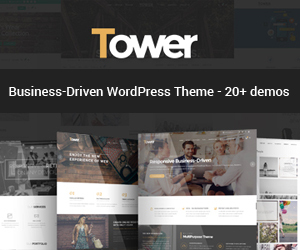 Theme is one of the most high-rated WordPress Themes i have seen 4.73 from 5.